How to Transition Your Skin Care Routine from Summer to Fall? Regardless of how busy we are, we simply can’t afford to overlook certain things, such as the way we care for our skin. It goes without saying that every single one of us needs to take a tiny portion of the day and just pamper ourselves. We always hear people saying that we must feel good in our skin. Well, the first step towards feeling good in it is taking good care of it. There is no universal skin routine that applies to everyone and sticks with them forever. In fact, there’s a long list of skin routine types. For instance, there’s a morning routine, a night routine, the one for hot and humid days, the one for those freezing cold days and much more! The way we take care of our skin will depend on numerous factors. That’s why, today, we’ll show you how to switch from summer skin routine to the one that’s more appropriate for the colder days. In order to keep the skin’s glow and freshness, you’ll need to make certain tweaks to your current skin routine. It all comes down to repairing the damage caused by the sun and protecting the skin from the cold air. The fact that summer is over doesn’t necessarily mean you can get rid of sunscreen. In fact, most people experience sun damage in the fall because they don’t think they should use sun protection. It’s true that the UVB rays are much weaker than those we experience in the summer, however, the UVA rays that actually cause skin cancer are still just as powerful. Basically, we’d like to note that it’s a good idea to apply sun protection every single day throughout the year. It should be one of the staples of your everyday skin routine. When it comes to moisturizing, in summer, we usually keep it very light. However, when the temperature starts dropping low, it’s high time we put another layer of it on our skin. Actually, instead of applying additional layers, you could even choose a moisturizer that’s a bit creamier and richer. That way, the layers won’t feel as heavy, and your skin will get that extra boost! Finally, we recommend purchasing a rich night cream that you can apply before going to bed, and you’ll wake up with a skin that feels extremely soft and well-hydrated. Every product that contains alcohol will make your skin dry. Alcohol-based toners are acceptable in the humid summer days, but they are a no-go when winter comes knocking on our doors. The key in fall and winter is to keep your skin well-hydrated, soft and fresh. The gentler the product, the softer your skin will be. We often tend to neglect our lips when it comes to skin routines. Well, that’s unacceptable, as they need extra attention and care. Unlike our skin, our lips don’t have glands that could make them moist. The only source of moisture is our saliva. That means that, when we are exposed to harsh weather conditions, our lips will most likely be dry and chapped. In order to prevent this from happening, go ahead and purchase a chapped lip remedy that contains ingredients such as shea butter or avocado. When we talk about skin care, somehow people immediately think about the face. However, skin care routine shouldn’t exclude other body parts such as hands and feet. In fact, in cold weather, it’s crucial to apply hand cream in order to keep our hands from drying out. The same thing applies to the feet. Just before going to bed, apply a generous layer of foot cream, give yourself a massage while you’re at it and enjoy having soft skin all over your body! Alright, guys! We’ve made it to the very end of our short guide on how to make a smooth transition from your summer skin care routine to the one that’s appropriate for the fall. 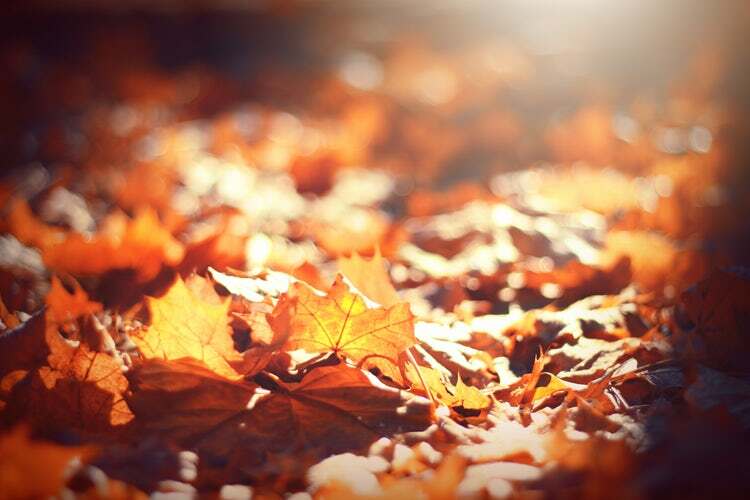 Before you realize, the fall will be here, and we recommend you take our advice so that you can enjoy the weather without any skin-related issues. Next How Olive Oil Benefits Your Skin? How to Tighten Your Loose Skin on Face and Neck with Jade Stone Lifting Tool? How Olive Oil Benefits Your Skin?